What's changed about the nucleolus since high school? The size of a cell's nucleolus may reveal how long that cell, or even the organism it belongs to, will live. Over the past few years, research has pieced together an unexpected link between aging and the organelle typically known as the cell's ribosome factory or perhaps best remembered as that blob in the middle of the nucleus. 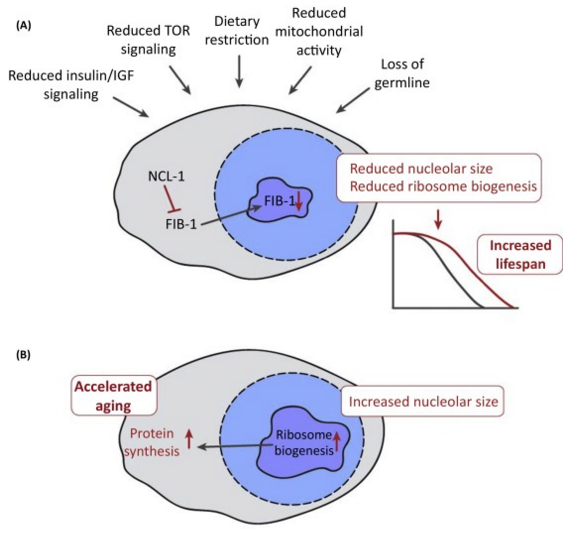 A May 17th review in the journal Trends in Cell Biology outlines a connection between the nucleolus and age-related pathways — such as those associated with diet restriction or the 'ageing disease' progeria. "The nucleolus is perceived as a basic housekeeper. It's responsible for producing ribosomal RNA, important for synthesis of proteins essential to the vitality of a	cell," says Adam Antebi, Director of the Max Planck Institute for Biology of Ageing in Germany, and co-author of the review with postdoctoral fellow Varnesh Tiku. "But our work and other people's work shows that the nucleolus plays many different roles, including lifespan control." Studies of aging and the nucleolus have been carried out in yeast, worms, fruit flies, mice, as well as early data in humans undergoing dietary restriction and exercise. Worms are particularly useful for aging research because they only live for about a month, so it's possible to tweak their genomes and see what extends or shortens their lifespans. Antebi and others have seen that common intra-cellular pathways related to aging ultimately affect nucleolar size. So, organisms with enlarged nucleoli have shorter lifespans and those with shrunken nucleoli have longer lifespans. Many of these longevity cell signalling pathways converge on a nucleolar regulating gene called NCL-1. Dietary restriction, reduced insulin signaling, and other lifespan-extending interventions increase the activity of NCL-1 which reduces nucleolar size and the creation of ribosomes. Worms lacking NCL-1 receive no age-extending benefits from these therapies. People with diseases such as cancer or progeria — that accelerate aging — have enlarged nucleoli with increased ribosome biogenesis. It is still unclear why a small nucleolus can extend lifespan, but it may be linked to balancing cell renewal with repair. Adam Antebi: "Within an organism's different tissues, nucleolar size can vary quite a bit depending on the metabolic activities of that cell. For example, in [the worm] C. elegans, neurons have very small nucleoli whereas they are quite big in its skin or muscle cells. It turns out that neurons in C. elegans maintain their structure well into old age, whereas muscle cells and skin cells tend to deteriorate more rapidly in that organism. 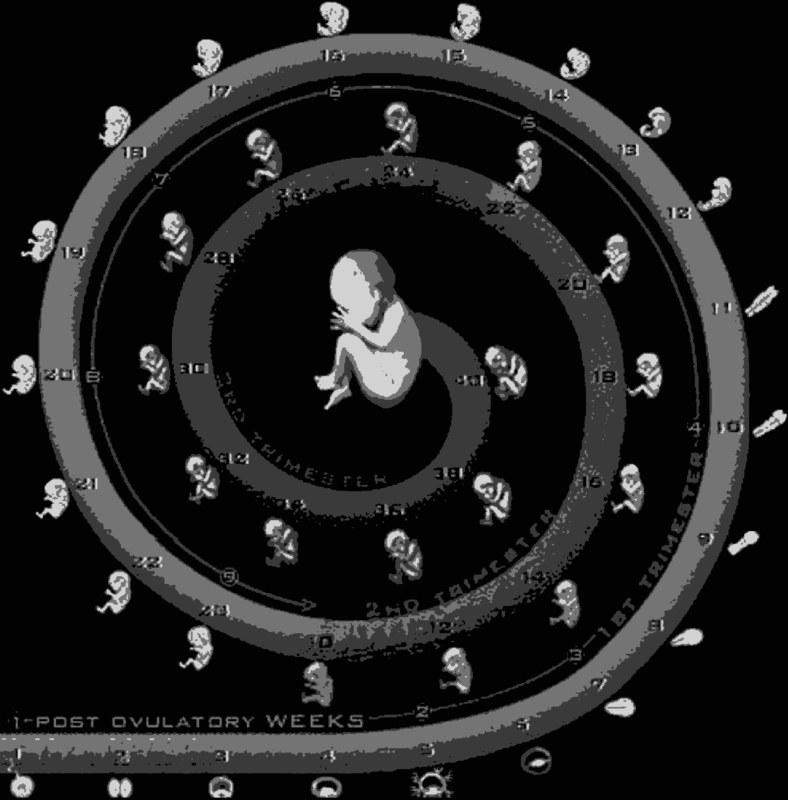 Thus, even within an organism different tissues have different nucleolar size and may reflect different rates of aging." Does this mean that the nucleolus acts as a kind of cellular timer? Not quite. Antebi believes the nucleolus organelle — which lacks a membrane and has a unique biochemistry keeping it separate from the nucleus — is more likely the center for growth control. 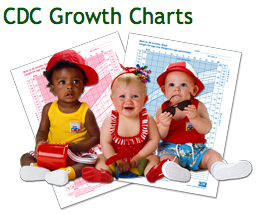 Too much growth and cells turn cancerous, too little and tissue repair is dysfunctional. The nucleolus is associated with regulation of cell senescence or death. Alterations in its morphology are reported in aging cells. In particular, pre-senescent cells have multiple small-sized nucleolias as compared to dying cells which have a single enlarged nucleolus. There are a number of nucleolar localized proteins, including tumor suppressor ARF and nucleophosmin, that regulate cell senescence by controlling the stability of p53 — a major tumor suppressor protein central to regulating the cell cycle. Levels of p53 in a cell are kept low under normal conditions — but under cell stress, specific proteins translocate from the nucleolus and bind onto MDM2 to inhibit breaking down p53. Increased levels of p53 initiate events leading to stopping the cell cycle — or cell death. Multiple studies implicate p53 in the aging of different organisms, including mice, drosophila (fruit flies) and the earth worm C. elegans. Evidence for p53 in human aging is also emerging. Decreasing activity of p53 has been associated with longer human life. The nuceosome appears to manage tissue integrity through cell senescence. Antebi: "The nucleolus is such an important organelle. It has been selected to coordinate all of the different informational processes in the cell that bring protein and RNA together. What is life but the proper processing of information and responding to environments in ways healthful to the cell and organism." Antebi is interested in learning more about whether the nucleolus acts on specific age-related cell signalling pathways, or has a global effect on organism physiology — such as immune function or metabolic regulation. His research also raises the possibility the nucleolus is a biomarker monitoring health and/or longevity of organisms. A pilot experiment in humans supports that possibility. "An intriguing idea," he adds. The nucleolus is an intranuclear organelle primarily involved in ribosomal RNA synthesis and ribosome assembly, but also functions in the assembly of other important ribonucleoprotein particles that affect all levels of information processing. 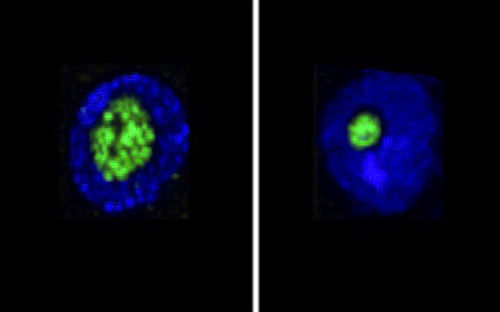 Recent evidence has highlighted novel roles of the nucleolus in major physiological functions including stress response, development, and aging. Signaling pathways that regulate organismal lifespan converge on nucleolar size and function, and implicate nucleolar function with aging. Exploring the detailed function of the nucleolus in aging can contribute to understanding the molecular mechanisms behind longevity and premature aging disorders. The nucleolus is a prominent membraneless organelle residing within the nucleus. The nucleolus has been regarded as a housekeeping structure mainly known for its role in ribosomal RNA (rRNA) production and ribosome assembly. However, accumulating evidence has revealed its functions in numerous cellular processes that control organismal physiology, thereby taking the nucleolus much beyond its conventional role in ribosome biogenesis. Perturbations in nucleolar functions have been associated with severe diseases such as cancer and progeria. Recent studies have also uncovered the role of the nucleolus in development and aging. In this review we discuss major nucleolar functions that impact organismal aging. In addition, the Max Planck Society and its Institutes receive third party project funding from public and private contributions and from the European Union. The federal and state governments jointly provide the subsidies for the budget of the Max Planck Society. (RIGHT) Long-lived fruit flies have smaller nucleoli than their (LEFT) shorter-lived relatives. Image credit: Copyright, Vanesh Tiku PhD, Max Planck Institute for Biology of Aging.